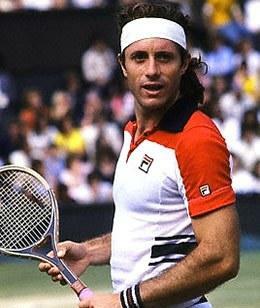 Guillermo Vilas was one of the top tennis male player of the world in his time. He has won four Grand Slam tournaments - two Australian Open, one French Open and one US Open. He has so many records on his name in tennis. Guillermo Vilas is a former professional tennis player from Argentina. He has won four Grand Slam titles in his career. He is a left-handed player with one-handed backhand. He was known for his dominant game on clay courts. 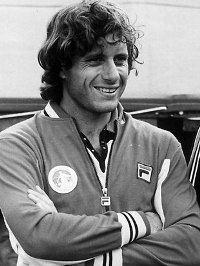 Guillermo Vilas started playing professional tennis in 1969. In 1972, he won his first title at Buenos Aires I which was a clay court tournament. His second title came at Buenos Aires II in 1973 where he won against one of the top tennis player Bjorn Borg who retired from the match in the final after leading with 3-6,6-7,6-4,6-6. Vilas then won many singles and doubles titles but it was the year 1977, when he got a great success. He won at French Open that year defeating Brian Gottfried by 6-0,6-3,6-0 in the final. He was in his top form that year. In the same yaer at US Open, he defeated another top player in the final beating Jimmy Connors by 2-6,6-3,7-6,6-0. This was his second consecutive Grand Slam win. He won a total of 16 titles in 1977 and reached to his best ever ranking of No. 2 in World ATP Ranking. His next Grand Slam win came at 1978 Australian Open. This time his opponent in the final was John Marks losing by 4-6,4-6,6-3,3-6 to Vilas. He again won Australian Open title in 1979 by defeating John Sandri by 7-6,6-3,6-2. Apart from the singles Vilas had also won 16 titles in doubles events. He won Australian Open for two consecutive year. Only nine other male tennis players has done this.